CrossFit Forest will change your life. When good people are in your life, good things tend to happen. One of the most special things about CrossFit Forest is the quality of people we have, from our coaches to our members. The coaches are highly qualified and they genuinely want to help. Our members are so supportive of one another that we can't help but thrive together. Everyone motivates and supports each other day in and day out, inside and outside of the gym. To be surrounded by inspiration on a consistent basis like this is a rare treasure. It will change your life. We all have those moments feeling unmotivated, uninspired, or even intimidated. But when we have a community of people with similar goals who all want to become a better version of themselves, we can't help but succeed together. 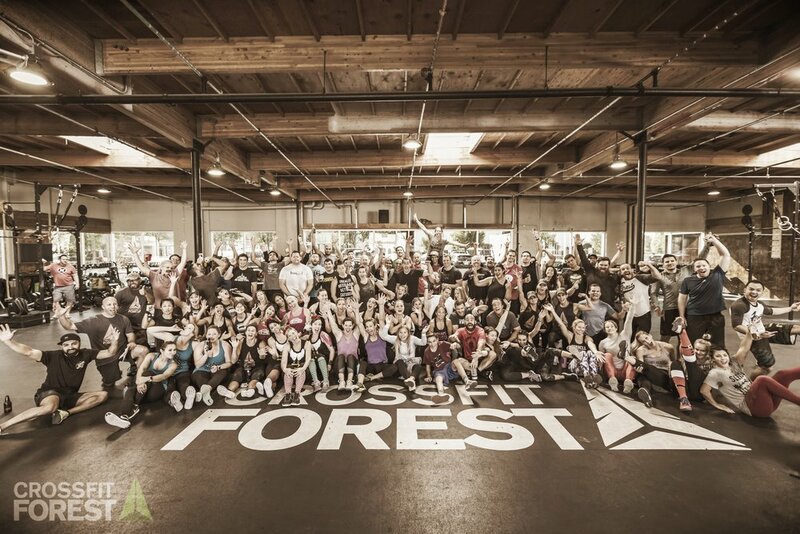 At Crossfit Forest, we are one big family. We motivate each other, inspire each other, we are each other's best support system. Whether you are brand new to fitness or a professional athlete, we can help you reach your fitness goals. We have helped deconditioned moms and dads get into shape so that they can keep up with their kids. We have helped countless members of various ages become the fittest they have ever been. We have helped professional athletes train for their respective sport and for the Crossfit Games. From fitness to nutrition, we have you covered. Our facility is over 8,000 square feet equipped with only the best equipment. We offer CrossFit classes, specialty programs (gymnastics, barbell, endurance, strongman, mobility, etc. ), nutrition seminars, childcare services, sport rehab and chiropractic services, and yoga. Our coaches and community are second to none. We have everything you need to be in the best shape of your life! Find out what you are capable of.